Thursday evening. Crisp and cold, clear and beautiful. 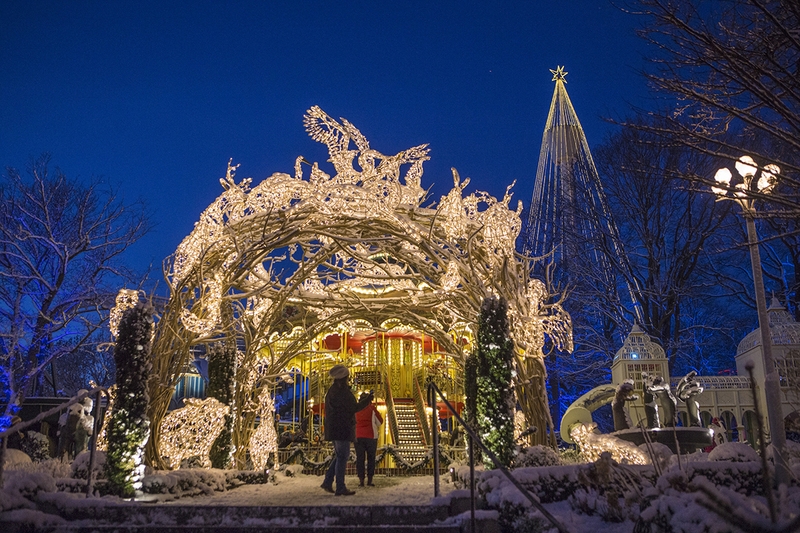 Walking through a Christmas-decorated Liseberg, with millions of lights and thousands of people. I watch a few minutes of the ice show, before I head out the main entrance.